New forex brokers come online every day. Therefore, you have to exercise a great deal of patience and do some research in order to identify the best forex brokers for currency trading. To help you save time and effort, we have identified a few key aspects that you must evaluate when choosing a broker. Read on to know what these aspects are. 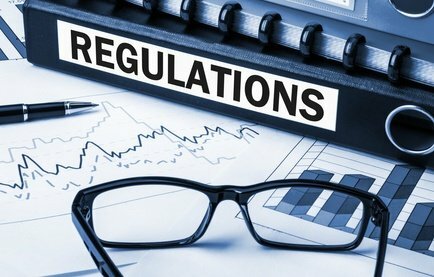 If you are a beginner trader, the first thing you must check is whether the broker you are planning to work with is regulated or not. In general, the currency market is unregulated. Therefore, working with a regulated forex broker ensures transparent and fair dealings. Regulatory oversight is applicable only within the jurisdiction that the forex broker operates. For example, a forex broker in the U.S. has to register with the Commodity Futures Trading Commission and be a member of National Futures Association. Brokers operating in the U.K. have to register with the Financial Conduct Authority. The main function of these regulatory agencies is to protect investors’ interests and develop the rules and regulations for conducting operations by forex brokers. Finally, many of the regulators offer a compensation scheme for investors. This is to protect a part of the investors’ deposits if the broker happens to become insolvent because of overexposure to the markets. As a beginner trader, the next important aspect you have to check is the broker’s trading platform software. You should ensure that the platform is easy to use and reliable, like MetaTrader 5. It should also offer varied trading tools to help you analyze the market. Some of the most useful tools as far as beginner traders are concerned are the streaming news source and the economic calendar. Further, it should be easy to enter into and exit a trade. This is to say that the platform interface should be designed with each function clearly labeled. If the interface is not properly designed, trading can be impacted and result in costly mistakes. All these mistakes can cause you to feel frustrated and even drain you emotionally. Therefore, it is absolutely important to make sure the trading platform is reliable. Additionally, you must also be aware that brokers often provide mobile versions of all their platforms. This is helpful if you are a person that travels a lot. Forex brokers make money either through commissions or spreads. If they charge a commission, it is either a fixed amount for a lot traded or on the basis of the trading volume. In the case of spreads, the forex brokers add up a few pips on the difference between the ‘ask’ and ’bid’ prices. The spread may be fixed or variable. If the spread, it becomes more difficult for you to earn a profit. Typically, frequently traded pairs are often offered at tight spreads than those that are traded less frequently. When it comes to account types, choose a forex broker that offers a variety of options. The accounts are differentiated on the basis of the benefits offered, but they could vary from one broker to another. For instance, micro and mini accounts which allow you to trade in amounts less than that of a standard lot generally come with low minimum deposit requirements. These trading accounts, designed for beginner investors, have higher leverage. On the other hand, they also come with higher spreads. Sometimes, the brokers limit the number of forex pairs that can be traded by micro and mini account holders. Trading accounts may be classified on the basis of the spread type which traders have to pay. While some trading accounts come with fixed spreads, some others come with variable spreads. There are commission based accounts as well. Typically, the trading accounts used by experienced traders are the Electronic Communication Network (ECN) type accounts. These accounts enable traders to access raw spreads offered by liquidity providers. This is yet another important factor that you must consider when evaluating the features of forex brokers. You should go through the terms and conditions related to deposits and withdrawals with a toothcomb. Every forex broker has their own policies when it comes to handling deposits and withdrawals. While some brokers require the traders to fund their accounts through direct bank deposits, some others offer more flexible options and extend support for a number of payment methods. Irrespective of the payment options made available, always choose the broker that provides you with not only a convenient payment method but also a cheaper option. The forex market is open 24 hours on trading days. This enables forex traders to involve in trading whenever they want. This also means that you might need assistance from the customer support service depart at any point in time. It is, therefore, of utmost importance that the broker you are planning to work with offers round the clock support services. Another aspect to be checked is the different methods by you can contact the broker’s customer support team. The communications options should include live chat, local telephone numbers, and email. Additionally, have a clear idea of the customer support department’s response time. Yet another aspect to be checked is whether customer service is offered in language of your choice. This is because communication is key to achieving success in forex trading. It is not easy to find the best broker, especially if you are new to forex trading. Just keep in mind the above aspects when evaluating forex brokers so that you end up choosing the right one that meets your trading needs.